What Is a Stay Interview with Employees in the Workplace? The results of a stay interview give you knowledge about what the organization can improve and how you can retain your remaining, valued employees—now. You also learn what your organization or department is doing well when employees identify what they like about their current job and employer. The stay interview is an opportunity to build trust with employees and a chance to assess the degree of employee satisfaction and engagement that exists in a department or company. Employees prefer to work in an environment that cares to know about and understand their thoughts, needs, and feelings—especially when they see actions take place following a series of stay interviews. Stay interviews are preferable to employee satisfaction surveys because they provide a two-way conversation and a chance to ask questions, and follow-up on ideas. They also deal with immediate employee happiness or concerns, not with how the employee felt last month or over the past quarter or the year. You can also ask for examples that further help your understanding of the employee’s worldview. The survey frustrates employees when they are asked a large number of open-ended questions that cause them to type and type. If you decide to conduct stay interviews with your best-performing employees, you want to approach the process carefully. If your organization has a culture that encourages open communication and employee involvement, they are an effective tool for identifying the areas that need improvement. If your organization lacks trust and open communication, stay interviews may be a waste of time or worse, you may get bad answers that mislead you into making ineffective changes. Your assessment of your organizational culture in areas such as staff turnover, innovation, sales per employee, employee longevity, attendance, total sales, and profitability tells you a story of whether your organization is in a position to hold stay interviews. Your organization may need to use anonymous employee satisfaction surveys until you have had the opportunity to improve the factors that would currently make stay interviews uncomfortable for employees. Additionally, if your organization’s climate lacks trust, you may want to participate in team building and trust building activities first. Then, when employees feel as if you are serious about improving the work environment, and they have seen changes, you can add stay interviews. Please note that if your organization decides to conduct stay interviews, employees will look for something to change as a result of their participation. You need to be committed to making positive changes before conducting stay interviews. Otherwise, the same as what employees experience when no action occurs following employee satisfaction surveys will plague you in your conducting of stay interviews. When you make changes, you need to inform employees that the changes are the result of their suggestions and responses in stay interviews. Employees will not automatically make that connection. The employee's manager should conduct the stay interviews. Human Resources staff can help with difficult interviews, but the stay interview should encourage open communication between an employee and his or her manager. The manager is the person who can most readily have an impact on the employee's everyday working conditions. Before conducting a stay interview, managers need training on how to conduct the interview, the questions to ask, how to build trust, and how to effectively listen. This training will help managers approach the stay interview effectively and make the time invested more productive. The manager may jot notes during the meeting but the focus of a stay interview should be on the conversation. The manager should actively listen and engage the employee in an open-ended conversation. Start your stay interview with general, easy-to-answer questions. As the interview progresses, you can ask tougher questions after the ice has been broken. You don’t need to ask all of the recommended questions. Select the questions that appear to have the most utility for your organization. Unless an employee has a lot of thoughts to offer, the stay interview should take around a half hour to an hour. When you ask an employee to participate in a stay interview, don’t expect that you can ask the employee why or if he or she is thinking of leaving as your first question. The chances are that he or she has a well-rehearsed answer that leaves no bridges burning. But, this answer won’t give you the information you need to help your organization become more attractive to employees. After regularly conducting stay interviews, you will find the questions that yield the most useful information from your employees. 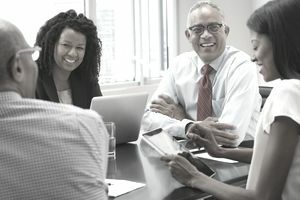 As employees see their organization respond to their concerns and needs, the addition of the stay interview to the Human Resources arsenal of tools will have a positive impact on employee morale. If your organization decides to embark on stay interviews, HR should provide the opportunity for managers to discuss the results, share results, look for patterns across the organization, and share ideas gleaned from the employees. Debriefing allows your organization to determine what needs to happen in individual departments and what you would be better off addressing organizationally. Be careful not to trivialize how employees feel in your stay interviews, your department or your organization. You may agree or disagree with the views expressed, but nonetheless, they are the current reality of the employees who are participating in the stay interviews. As Tom Peters famously said, "Perception is everything." This is an important factor in any interaction with employees. Explaining away the responses, making excuses, or becoming defensive will also derail your process for understanding employee satisfaction and retention in your organization. And, that's the goal, right? You want to create an organization that will retain your best employees. Stay interviews will help you accomplish this.